Up to this point, all my openers have been single color. But combine the fact that I’m jealous of the new dual extruder with the fact that Matt was my Best Man, and I decided that this time I would go the extra mile. This was a fairly simple multi-color design, but by breaking up the model ahead of time, this technique could be used for any part. 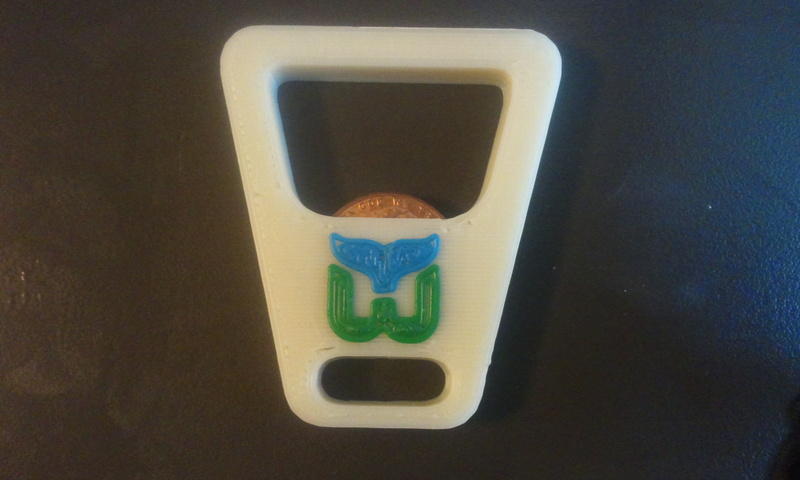 I recently posted an improved bottle opener design to Thingiverse. Unlike the mighty bottle opener, this is one that I’m proud to give out, and people are happy to receive. Ok, maybe he’s really good. 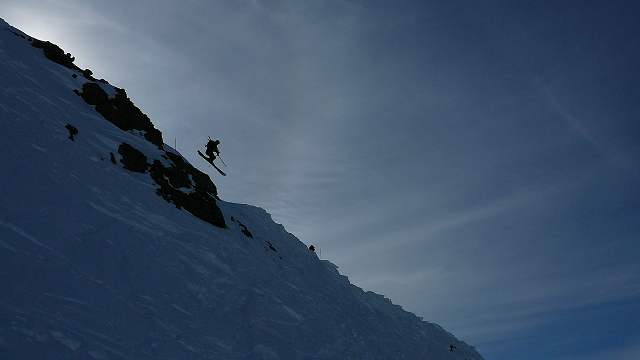 Anyway, this has been my favorite skiing picture since it was taken a few years back. I thought it might be nice to capture some of this awesomeness in opener form. I’ve lived in my house for 2 years now. 2 weeks after we moved in, someone who shall remain nameless turned our 2 bathroom house into a 1.5 bath. They were cleaning the bathroom (that’s how you know it wasn’t me.) While leaning on the D-Shaped shower curtain rod for support, the whole thing came down. 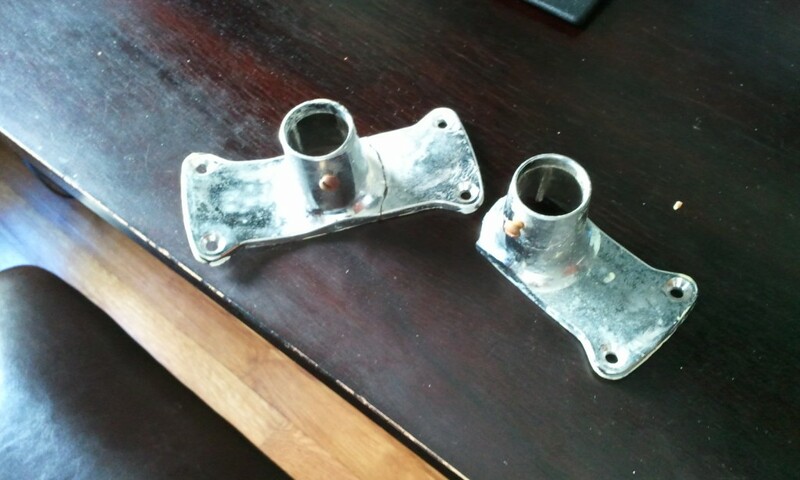 Come to find out the support brackets were woefully inadequate. “I should really do something about that…” but we only really NEEDED one shower, and you can’t buy the brackets separately, so I did nothing. I wasn’t going to spend $100 for a shower we’d never use. I’ve been wanting something printable that I could carry around with me, especially after this Colbert Report thing. I finally settled on designing a bottle opener: something I could show off. 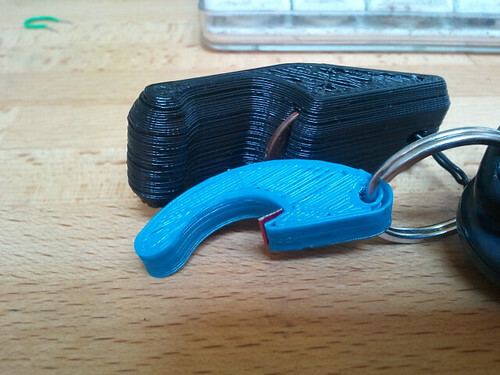 There’s already a bottle opener you can print, and it works really really well. Unfortunately it’s the size of a small moon, so you can’t really carry it with you everywhere. The reason it’s so big is because it uses a penny to bear the load. You need to have something metal to save the plastic, and a coin is an ingenious, albeit large, solution. To make the opener smaller the coin would have to go. 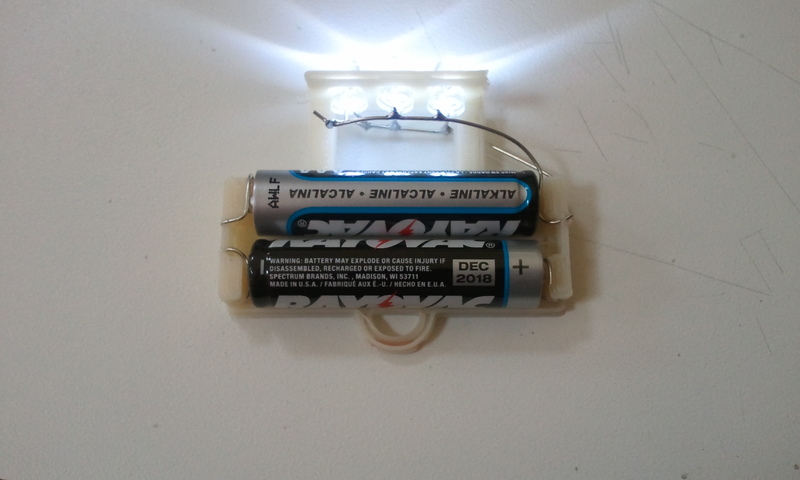 Using a bottle cap came to me almost immediately, but finding the correct implementation took some time. The Coin-Op uses the coin to support the full load, and initially that’s what I tried to do with a folded over cap. Things improved greatly when I discovered that ABS is strong enough to lift a cap, it just needs a protective layer to keep it from being chewed up. And thus the Mighty Bottle Opener was born! As you can see, naming things is not my forte. I was looking for something that would encompass everything great about this new opener I designed: It’s smaller, lighter, key-chainable, yet still really strong. When designing parts for the Makerbot my tool of choice is Google SketchUp. I’m able to do this easily (and for free) due to the work of Nathan Bromham and Konrad Shroeder. 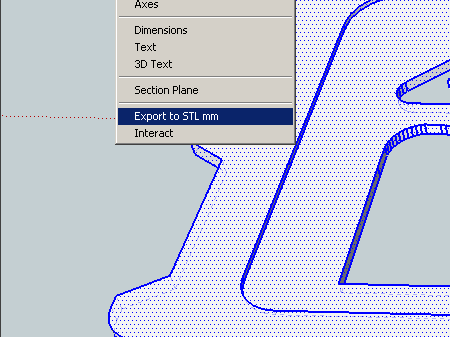 Their skp_to_dxf plugin quickly exports my model into stl format, which can then be read by ReplicatorG. One minor annoyance though. Every time I run the plugin I need to specify “Millimeters” and “STL”. I’ve been revising a lot of models lately; trying things out then checking the resulting tool path in skeinforge. Somewhere around the 20th time specifying the SAME THING, I decided to go into the plug-in code and just hard-set my options. The result is my variant of the plugin, which I’ve labeled skp_to_Custom. I did almost nothing. I commented out the dialog code and instead included a section at the beginning of the code where you can hard-set your options. That’s it. But MAN has it saved me some aggravation.